The Project Manager window shows you the current files in your project. 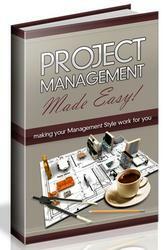 To view the Project Manager, choose View | Project Manager from the main menu. Figure 10.1 shows the Project Manager window for the Scratchpad program created on Day 6. The Project Manager window tells you at a glance the state of each file in the project. Files that are up-to-date are displayed in a regular font; files that have been modified but have not yet been saved are shown in a bold font. This serves to remind you which of your files have changed since you last saved the project. 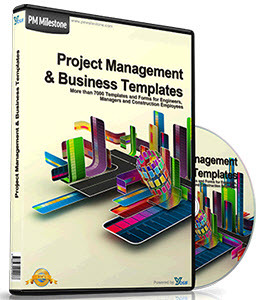 You will notice in Figure 10.1 that the Project Manager file list has three columns. The first column shows the name of the source unit that represents that file. For example, the source unit for the main form of the Scratchpad program is called SPMain.cpp. The second column shows the name of the form that is associated with that file. The form name is taken from the Name property for the form. In some cases, there is no form associated with a source unit. Each project has a project source file associated with it that contains the VCL startup code for the application. Because there is no form associated with the project source file, the Form column for that file will always be blank. Looking at Figure 10.1, you can see that the project source file for the Scratchpad program is named Scratch.cpp and that the Form column is blank. The last column in the File list of the Project Manager window contains the path where the file is located. This column is always blank for files that reside in the project's own directory. The only time this column contains a directory path is when you add a file from a location other than the project's working directory. This column tells you at a glance where each file in your project is located. The columns in the Project Manager window can be resized. To change a column's width, place your mouse cursor on the dividing line between two columns on the column header. When you see the mouse cursor change to the drag cursor, you can drag right to make the column wider or drag left to make the column narrower. The status bar of the Project Manager window shows you the project's working directory and the total count of the project's units and forms. The status bar text is generous in its count of units contained in the project. The status bar text considers every file in the project a unit whether or not it is actually a source code unit. For example, adding a text file to the project will increment the unit count in the status bar even though the text file does not constitute a code unit.